This innovative set is perfect for hands-on learning and illustrative teaching of area, volume, surface area, symmetry and perimeter. 16-piece set includes eight transparent shapes that show three dimensions and eight folding nets that show two dimensions. 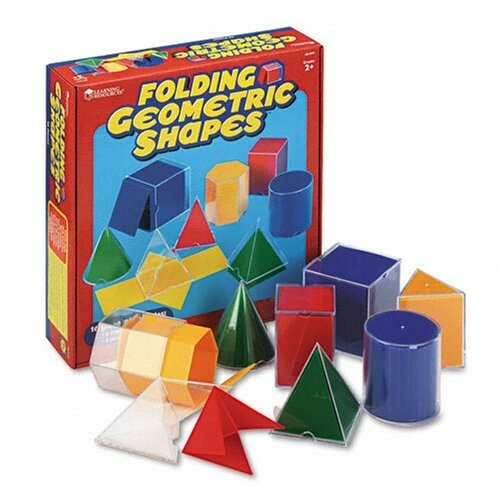 Includes cylinder, square pyramid, cube, rectangular prism, cone, hexagonal prism, triangular pyramid and triangular prism. Shapes are 3" in height.